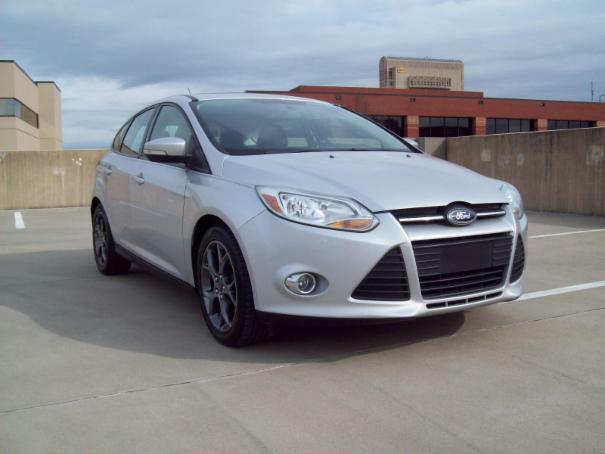 2013 FORD FOCUS SE FWD 5-PASSENGER 4-DOOR SEDAN. This vehicle is powered by a 2.0L 4-cylinder engine along with an Automatic Transmission. Colored in A Ingot Silver Metallic finish -UX- over Gray Colored leather Interior. Other options and features include: Sun Roof, A/C, Power Windows, Power Locks, Power Mirrors, Powered driver's Seat, Tilt Steering w/ Steering Wheel Controls , Cruise Control, Voice Control, Keyless Entry + Remote w/ Alarm, Factory AM/FM Stereo w/ CD + Bluetooth w/ XM Sirius Ready, Telephone Pairing, Outside temp display, Dual Front and Side Airbags, Fog Lights, Traction Control + ABS, Center Console, and 17-inch Factory Alloy Wheels on a matching set of Arezzo Sailun Tires.